We have already ran some tests of the new GeForce GTX 750 Ti GPU based on the new Nvidia Maxwell architecture for mining scrypt-based crypto currencies such as LTC and DOGE with the help of CUDAminer (up to 265 KHS). 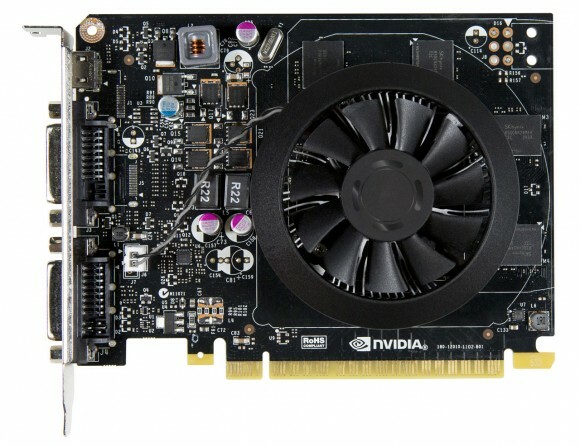 The results it is giving, along with the low power usage of the card are making it an interesting option for people that are interested in mining crypto currencies with Nvidia GPUs. The GeForce GTX 750 Ti also shows good overclocking potential for even higher performance (up to about 300 KH/s) on a reference design board. After looking at some non-reference design boards such as ASUS GTX750TI-OC-2GD5 that has additional PCI-E power connector and much better cooling we considered that even higher performance could be achieved, however after checking some reviews of these cards it seems that the Power Target maximum on these cards is still 100%. This simply means that even though the card is clearly designed to handle serious overclocking, the power limiter will not allow you to go beyond the TDP rating of 60W, so as a result it seems that these cards are not overclocking much better than the standard reference boards. 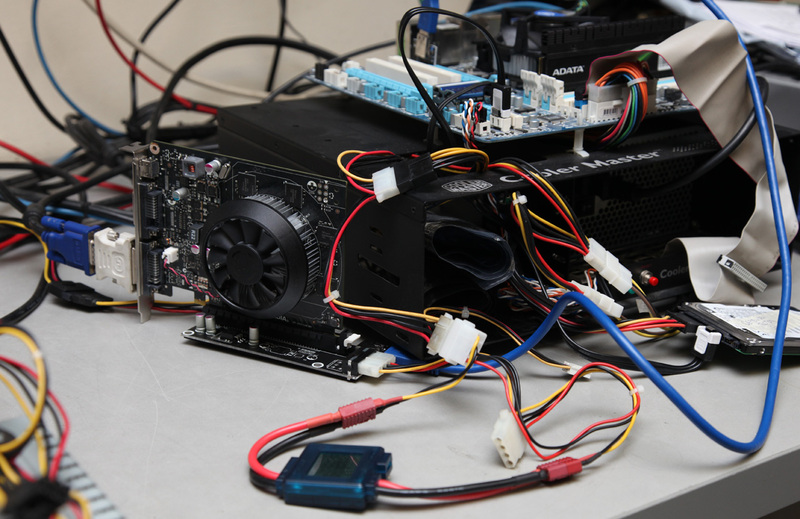 We have also tested the performance that the new GeForce GTX 750 Ti Maxwell cards can offer in some other crypto currencies supported by CUDAminer that do not use Scrypt algorithm, but instead rely on different approaches – SHA-3 (Keccak), Scrypt-jane, Adaptive N factor Scrypt. The performance we got with them was also quite good, though overclocking the card did not help as much these as with Scrypt. Below you can find out what our results were with the different crypto coins we have tried that use the above mentioned alternative algorithms. Note that we are still trying out different configurations in order to get the maximum performance out of the GTX 750 Ti for these alternative crypto currencies, so any suggestions for settings to try with are welcome. As suggested we overclocked only the GPU for the latest results to the maximum of +135 MHz, without clocking the video memory as apparently for these algorithms it does not make sense (downclocking it down with -502 MHz does not seem to affect performance significantly). We are going to update the results if/when we get a better performance with the settings we find to work best for the specific algorithm and crypto coin combination. 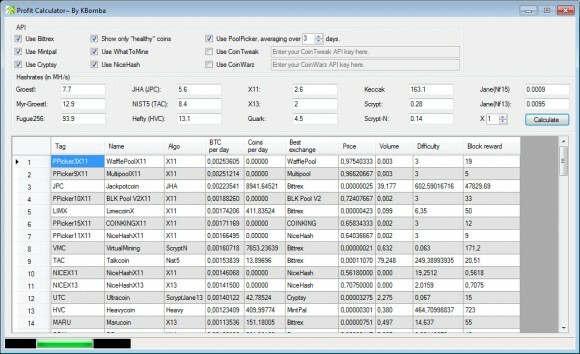 You are also welcome to request us to test with other coins that are supported by the CUDAminer software. Mining YACoin that uses Scrypt-jane has proven a bit tricky with CUDAminer as apparently it did not want to work properly with our custom settings for the kernel settings we used for Scrypt, the only way to make it work was to use the autotune functionality of the miner, otherwise we were getting errors. This means that we could not try our best performing kernel configuration T5x24 on Scrypt-jane here. After trying some suggestions for CUDAminer and YACoin and adding lookup gap with -L 4 (the best performing lookup gap setting for GTX 750 Ti) we got around 1.7 KHS out of the card. 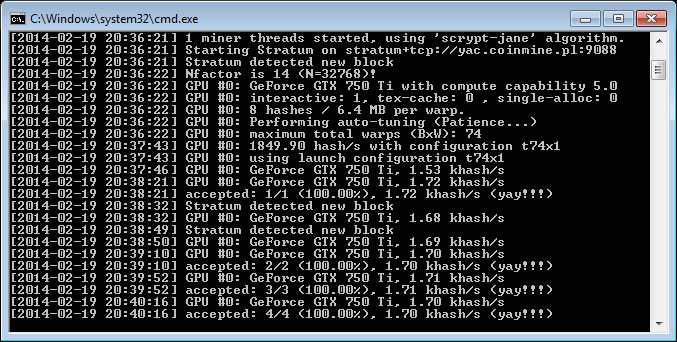 Overclocking the GTX 750 Ti to +150 MHz GPU gets us up to about 1.78 KHS of hashrate for mining YACoin (T74x1 automatically selected, so far has the best performance, as setting manually kernel does not appear to work properly). For VTC mining that uses Adaptive N factor Scrypt algorithm with the T5x24 configuration and manual settings got us about 125-129 KHS hashrate with the GTX 750 Ti running at stock frequencies. After overclocking the Maxwell to +135 MHz GPU the performance increase has boosted our hashrate to about 135-137 KHS. For MaxCoin mining that uses Keccak (SHA-3) algorithm we could also use the K1000x24 kernel configuration and manual settings and that got us about 62000 KHS hashrate with the GTX 750 Ti running at default clocks. Overclocking the GTX 750 Ti to +135 MHz GPU has increased a bit the hashrate to about 72600 KHS. Meanwhile the author of CUDAminer has released an updated version of the miner software, though it is not yet specially optimized for the new Maxwell architecture you might want to update to it as it has some fixes and improvements. Furthermore there is a mention about upcoming BlakeCoin (BLC) support, so it will be interesting to see what kind of performance the GTX 750 Ti will be able to offer for BLC mining (Blake-256 algorithm) where the typical hashrate is about 3x the one you get when Scrypt mining.